Spin is the intrinsic angular momentum of subatomic particles. Although with no real equivalent in classical physics, it can be used much like charge to store, manipulate and transport information. Graphene is known to transport electron spins very effectively over large distances. However, manipulating these spins is made difficult by the lack of any means of controlling them externally. The spin-orbit coupling (SOC) interaction offers just such a means, though in graphene this must be ‘borrowed’ from other materials via the proximity effect. ICN2 researchers have unambiguously demonstrated that SOC can be induced in graphene by proximity to transition metal dichalcogenides (TMDC). 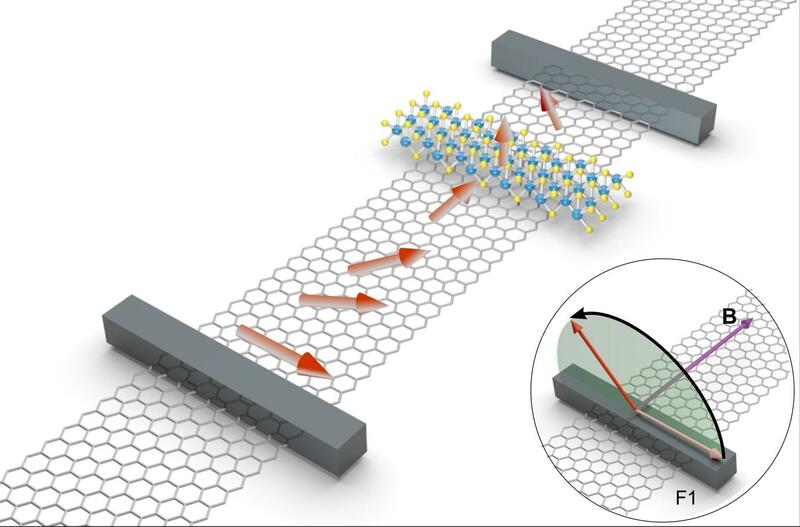 Using an experimental approach developed over the last two years by the ICN2 group, it was observed that spins behaved differently upon reaching the graphene/TMDC bilayer depending on their orientation. In-plane spins were found to be very sensitive to the proximity-induced SOC, relaxing and losing their orientation as much as 10 times faster than out-of-plane spins. This strongly anisotropic spin relaxation was further observed to be a consequence of the spin-valley coupling also imprinted onto the graphene from the TMDC. Crucially, all observations were carried out at room temperature, making them of direct relevance to future technological applications. These results suggest that a graphene/TMDC system could be used as a spin filter, allowing the detection of small orientation changes. They also represent the first step to achieving external control over the propagation of spins in graphene, and offer an interesting starting point for the exploration of coupled spin-valley phenomena and topological and spin-valleytronics device concepts. By applying an in-plane magnetic field B of variable intensity (inset), it is possible to control the orientation of the precessing spins (red arrows) at the TMDC position (represented by blue and yellow “atoms”). Spins diffuse in graphene from the left electrode (“injector”) towards the TMDC. Benítez LA, Sierra JF, Savero Torres W, Arrighi A, Bonell F, Costache MV & Valenzuela SO 2018, 'Strongly anisotropic spin relaxation in graphene–transition metal dichalcogenide heterostructures at room temperature', Nature Physics, 14, 303–308. 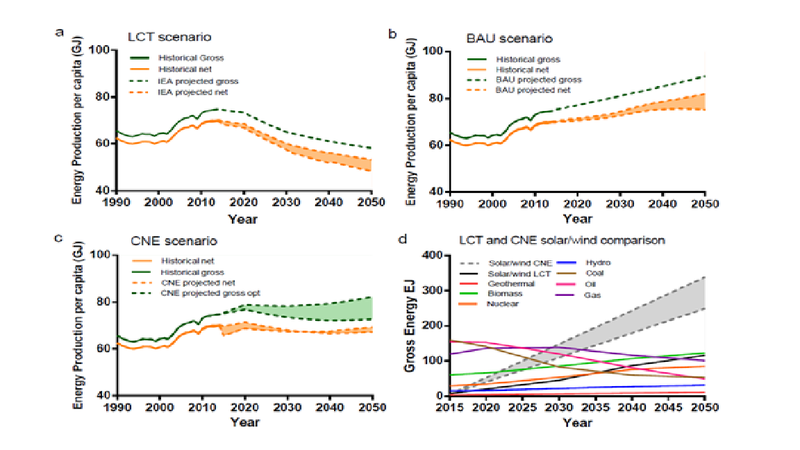 Following the Paris Agreement, global energy transition scenarios have been presented. While these tend to be analysed in terms of gross energy, precise accounting requires assessing net energy. To this end, the notion of ‘energy return on investment’ (EROI) is useful. It signifies the amount of useful energy yielded from investing a unit of energy into obtaining that energy. Coal and hydroelectricity have high, nuclear, oil and gas medium, and solar and wind power medium to low EROIs. 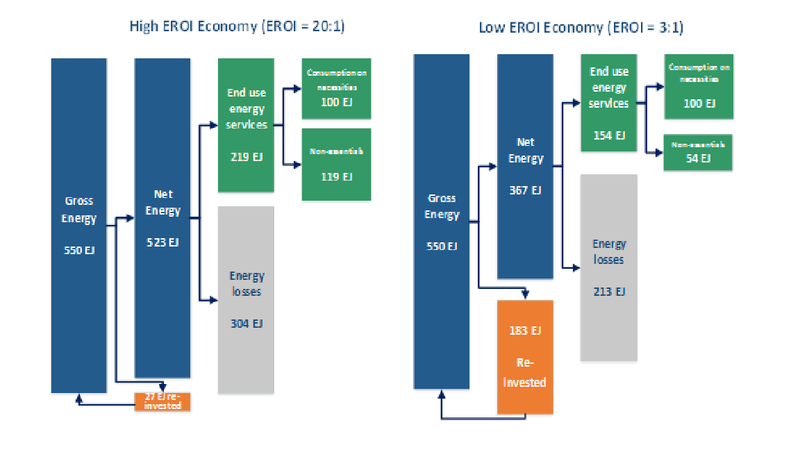 The importance of low versus high EROI energy sources for the economy, welfare and lifestyles is illustrated in the scheme. To improve lifestyles, the low-EROI society has three options: increase gross energy production, improve end use energy efficiency in production and consumption of goods/services, or improve average EROI considerably through technological improvements and investment in higher-EROI energy sources. We develop a dynamic model to analyse net energy supplied to society, considering operational and investment costs. The model is used to undertake three exercises: (1) simulate a low-carbon transition consistent with >66% probability of limiting warming to 2°C, using a basic scenario of the International Energy Agency as a reference; (2) simulate a ‘business as usual´ scenario based on current trends; and (3) optimise a transition to maintain current levels of net energy per capita by maximizing net energy within the 2°C carbon budget. The findings (see graphs) indicate that without substantial investments in energy efficiency, net energy per capita is likely to decline in the future between 24% and 31% from 2014 levels. To maintain current net energy per capita, renewable energy sources would have to grow at a rate 2-3 times that of current projections. The results further indicate a prioritization in phasing out fossil fuels, namely first coal then oil and finally gas. This can be achieved by implementing a carbon price, as it discourages coal more than oil, and oil more than gas. Finally, we propose an ‘energy return on carbon’ (EROC) indicator, a metric of net energy per tCO2, to assist in maximizing net energy within the 2 ºC carbon budget. 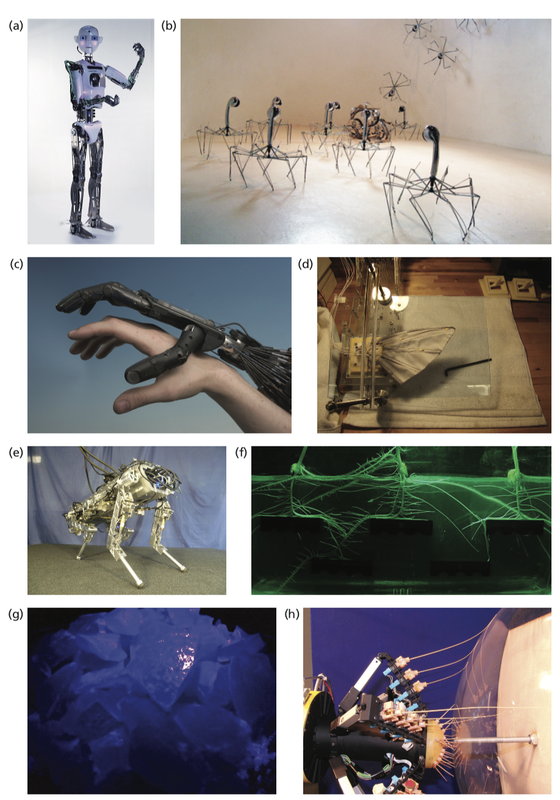 King LC & van den Bergh JCJM 2018, 'Implications of net energy-return-on-investment for a low-carbon energy transition', Nature Energy, 3(4): 334-340.
construction of a wide range of different biomimetic devices and animal-like robots. both on society and on how we see and understand ourselves. 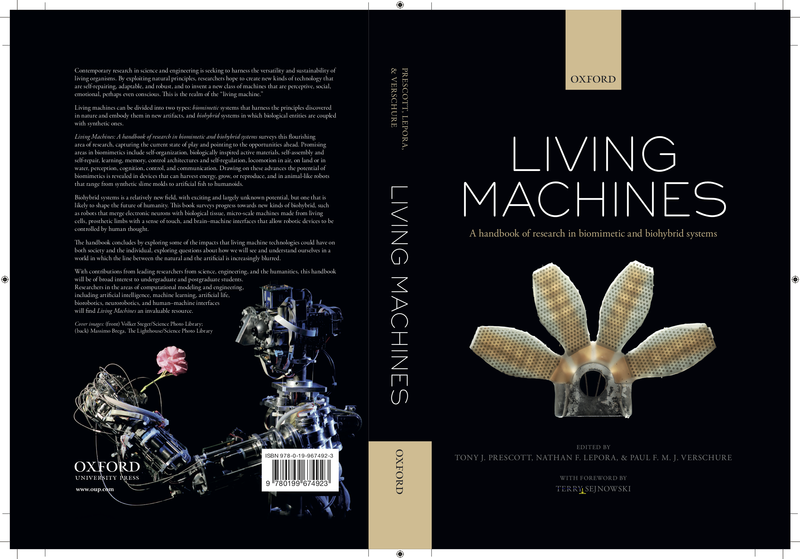 Prescott T, Lepora N & Verschure P 2018, 'Living machines: A handbook of research in biomimetics and biohybrid systems', Oxford University Press, Oxford, UK. 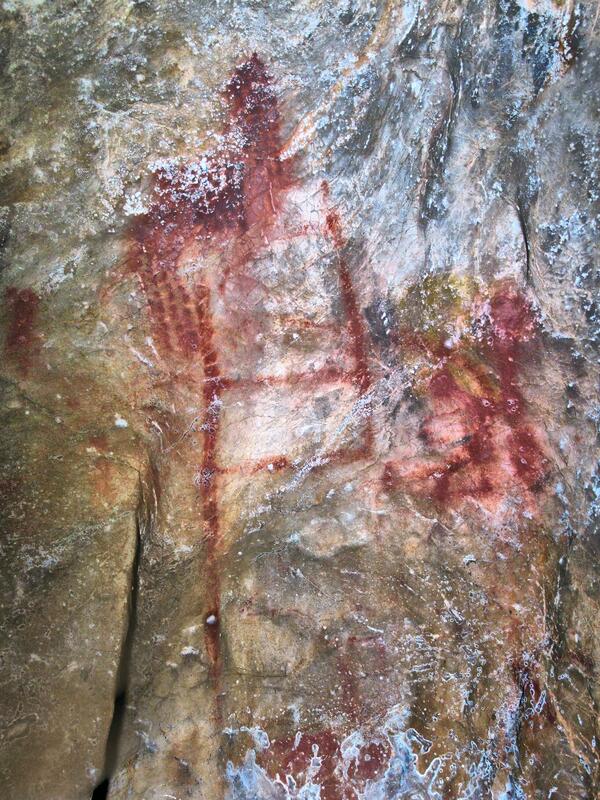 The dating of calcite formations overlying cave paintings and archeological deposits proved that, in Iberia, rock art (geometric designs, hand stencils, drapery painting) was being made >65,000 years ago, and that personal ornamentation (body painting, beads) goes back in time even further, to >115,000 years ago. This evidence predates by tens of thousands of years the comparable material culture currently known in the African continent, and conclusively demonstrates the cognitive and behavioral modernity of the so-called Neandertal people — the sole inhabitants of western Eurasia between about four-hundred and about forty-thousand years ago. Coupled with the physical anthropological and genetic evidence for extensive interbreeding at the time of contact with so-called anatomically modern populations of African ancestry, this evidence also demonstrates that, despite the minor "racial" differences, Neandertals belong in our species, Homo sapiens. Perforated/painted marine shells from Cueva de los Aviones (Cartagena), dated to >115,000 years ago. - Hoffmann DL, Angelucci DE, Villaverde V, Zapata J & Zilhao J 2018, 'Symbolic use of marine shells and mineral pigments by Iberian Neandertals 115,000 years ago', Science Advances, 2018, 4, eaar5255. - Hoffmann DL, Standish CD, García-Diez M, Pettitt PB, Milton JA, Zilhão J, Alcolea-González JJ, Cantalejo-Duarte P, Collado H, de Balbín R, Lorblanchet M, Ramos-Muñoz J, Weniger GCh & Pike AWG 2018, 'U-th dating of carbonate crusts reveals Neandertal origin of Iberian cave art', Science, 359, p. 912-915. Entanglement is a form of correlations observed among quantum particles that does not have a classical analog. It is also one of the most studied properties of quantum mechanics for its application in quantum information protocols. 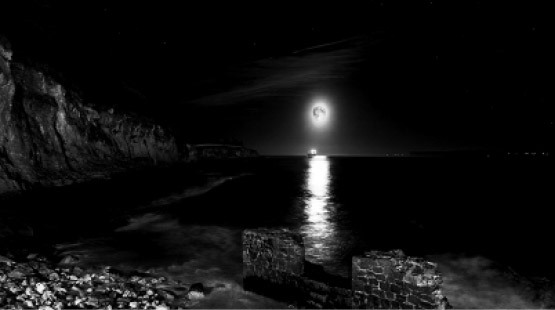 Detecting its presence in systems with many particles, however, remains experimentally and theoretically challenging. The first barrier is the exponential amount of information required to reconstruct the system’s state. The second is that, even if the quantum state is known, the available methods are computationally too demanding even for systems composed of few particles. In our work, we introduce a new technique for entanglement detection that provides significant advantages with respect to previous methods. First, it scales efficiently with the number of particles, thus allowing for application to systems composed by up to few tens of particles. Second, it needs only the knowledge of a subset of all possible measurements on the state, therefore being apt for experimental implementation. Moreover, since it is based on the detection of Bell inequality violations, our method is device independent, meaning that it allows one to assess entanglement without assuming any prior knowledge of the prepared state or the measurements performed. 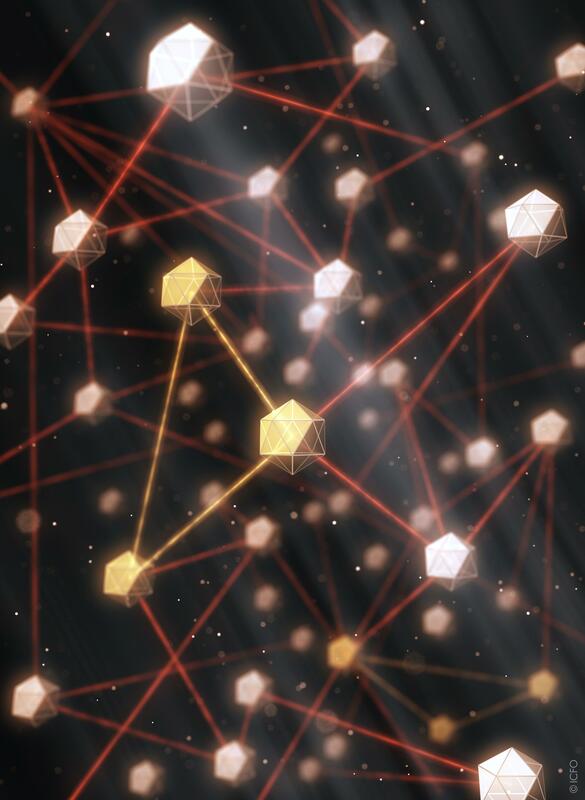 We report several examples of its implementation for well-known multipartite states, showing that the introduced technique has a promising range of applications. We expect our findings will contribute to advancing the field of entanglement detection towards larger systems. In particular, this new approach can supersede the current methods used to detect entanglement in state-of-the-art experiments involving tens of particles. Detecting the entanglement of complex many-body quantum states is a theoretical and experimental challenge. Baccari F, Cavalcanti D, Wittek P & Acin A 2017, 'Efficient Device-Independent Entanglement Detection for Multipartite Systems', Physical Review X, 7, 2, 021042. ICN2 researchers led by ICREA Prof. Jordi Arbiol, in collaboration with the IREC and ICIQ, have produced a material for use in photoelectrochemical water splitting that is not only cheaper than existing alternatives, but increases both the efficiency and output of the process. 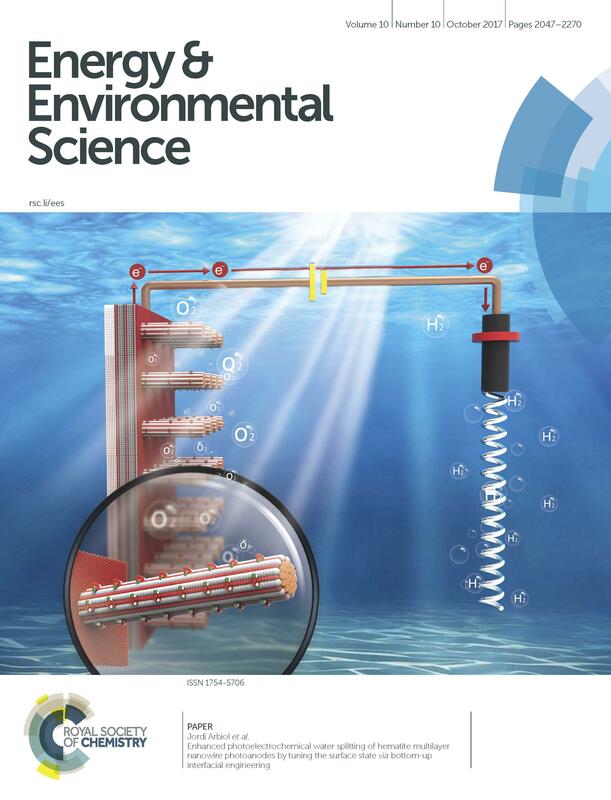 Based on the integration of several materials into a multilayer nanowire structure, the research was featured on the October's cover of Energy & Environmental Science. Photoelectrochemical (PEC) water splitting is a process whereby sunlight is harnessed in combination with specialised semiconductor materials to induce electrolysis and separate the hydrogen from the water molecule. With global climate change driving the need to find more efficient sources of sustainable energy, it is a topic that has received much attention over recent years. What ICN2 researchers have done, in collaboration with IREC and ICIQ, is to optimise the properties of the semiconductor material for a more efficient and productive solar-to-fuel conversion. Specifically, the semiconductor material is needed to absorb the solar energy and act as an electrode in the water splitting process. Hematite, a common semiconductor with a narrow bandgap ideally-suited to absorbing the solar spectrum, is a known candidate for this function as “photoanode”. As an iron oxide (α-Fe2O3), hematite is among the most abundant minerals on Earth’s surface and so is considerably cheaper than the gold and platinum typically used. However, issues relating to the flow of electric charge (namely, poor charge transport, surface charge recombination and slow charge transfer kinetics) have limited its practical application in PEC water splitting. To overcome these limitations, previous studies have focused on the development of hematite composites, structures which incorporate a second material that lends compensatory or augmentative properties to the hematite base. What ICREA Prof. Jordi Arbiol and his team have done is to integrate four materials into a multilayer nanostructure and systematically study the PEC performance of the resulting photoanode, also shedding light on the underlying chemical mechanisms. - Tang PY, Xie HB, Ros C, Han LJ, Biset-Peiró M, He Y, Kramer W, Perez-Rodriguez A, Saucedo E, Galan-Mascaros JR, Andreu T, Morante JR & Arbiol J* 2017, 'Enhanced Photoelectrochemical Water Splitting of Hematite Multilayer Nanowires Photoanode with Tuning Surface State via Bottom-up Interfacial Engineering', Energy Environ. Sci., 10, 2124-2136. Including Journal Front Cover.